With both Graham Hill and Jim Clark failing to finish, John Surtees was thrust right into the championship fight. He spent much of the race batting with Dan Gurney’s Brabham (who eventually dropped back) and Surtees won by over a minute from Bruce McLaren. This was also the final grand prix for 47-year-old French veteran Maurice Trintignant. With 82 grand prix starts to his name, at the time of his retirement he was the most experienced F1 driver of all-time in a career that began way back in 1950. He took two wins - both at Monaco - and drove a huge number of different cars, including (deep breath) Gordini, Ferrari, Vanwall, Bugatti, Cooper, Maserati, BRM, Aston Martin, Lotus, and Lola. Ferrari’s Clay Regazzoni scored his first F1 victory, but the death of Jochen Rindt the in the build-up to the race understandably overshadowed the occasion. Jackie Stewart finished second, just fending off the Matra of Jean-Pierre Beltoise. 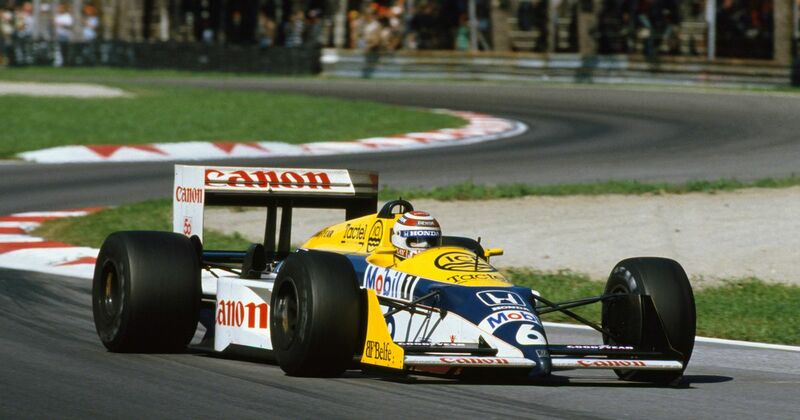 Nelson Piquet’s remarkable streak of consistency continued with a record fourth Italian GP. It was his third win of the season and eighth podium in a row, giving him a handy 20-point advantage in the championship over teammate Nigel Mansell and 14 points ahead of Ayrton Senna. In fact, it could have been less - Senna had been on to win the race when he made a mistake with just a handful of laps to go, handing Piquet the win. Lewis Hamilton extended his championship lead with a crushing win over Sebastian Vettel as teammate and title rival Nico Rosberg retired from third with a late engine failure. That left the two Williams drivers to fight over the final spot on the podium, with Felipe Massa just about fending off Valtteri Bottas. “I’m too old for that, guys!”, Massa quipped on team radio after the scrap. It also turned out to be his 41st and final career podium.